Satirist Chris Morris courts controversy like bloody good lads court the ladies – highly aggressively, with zero regard for whose nose gets put out of joint along the way. Just witness Brass Eye‘s mauling of media hysteria and Nathan Barley‘s evisceration of empty-headed scenesters. But his big screen debut saw Morris tackling his most combustible target yet, in the shape of Islamist terrorism. In truth, Four Lions is less a satire than it is a black comedy about the danger misguided morons pose to themselves and those around them – and an often hilarious black comedy at that; Faisal (Adeel Akhtar) attempting to proving his mastery of accents to Barry (Nigel Lindsay) is as certain to make you split your sides as swallowing a chainsaw whole. Also known as the movie everyone thinks Peter Dinklage appears in as a racist dwarf. 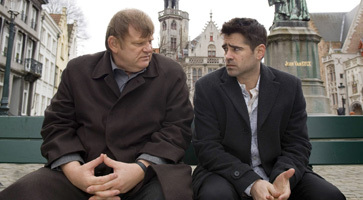 He doesn’t; Jordan Prentice actually plays the pint-sized bigot of In Bruges – just one amongst the gallery of oddballs encountered by Brendan Gleeson and Colin Farrell’s hired killers when they find themselves stuck in the eponymous Belgium beauty spot. The role of Ray, racked as he is with doubt and self-disgust, offered career rehabilitation for Farrell, who by the time of his casting by writer-director Martin McDonagh was in dire need of proving himself anything other than tabloid-bait masquerading as an actor. But this is Gleeson’s film really, with the big man delivering a pitch-perfect mix of pathos and deadpan wit. So, Dinklage wasn’t a part of the In Bruges cast. 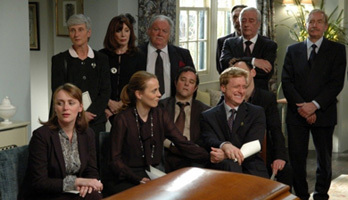 He did, however, pitch up on this side of the Atlantic for Death at a Funeral, a lesser-known black comedy which, aside from Dinklage, also boasted US representation from the relentless Alan Tudyk and the man calling the shots behind the camera, Frank Oz, aka Yoda himself. Of course, the true measure of success for any non-Hollywood production is whether Hollywood digs it enough to remake it. And on that count, like The Ladykillers, The Italian Job, and bloody hell, yes, The Wicker Man before it, we can firmly say Death at a Funeral scored like a first-rate lothario snaking onto the dead dude’s widow at a particularly fruity example of the titular gathering. We make the best comedies, we have the tradition – The Goonies, Monty Python, Roland Rat. The best British comedy films of the last 10 years are In Bruges and Borat. Peace. I think he meant The Goon Show. or maybe a typo and he meant the Goodies, very funny UK TV comedy I grew up with in the 70s.